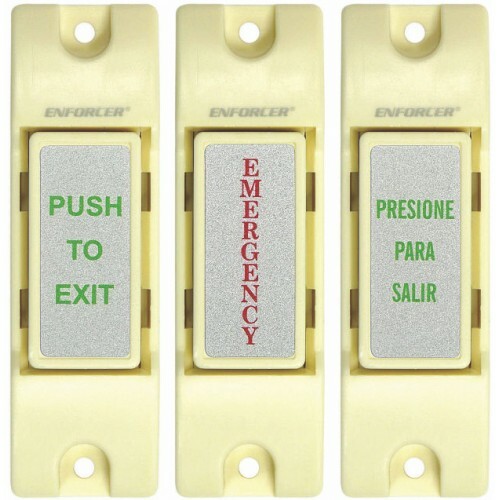 3 labels included: choose between "Emergency," "Push to Exit," and "Presione Para Salir." N.O. or N.C. (selectable) momentary contact. 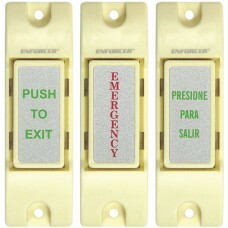 Dimensions: 3"x15/16"x5/8" (76mm x 23mm x 15mm).